I normally measure an experience based on how long I engage in it without realising how quickly time passes by. I spent three hours at General Eyewear's shop/design studio/workshop the other day without even noticing. You may remember one of their vintage sunglasses from a previous post. 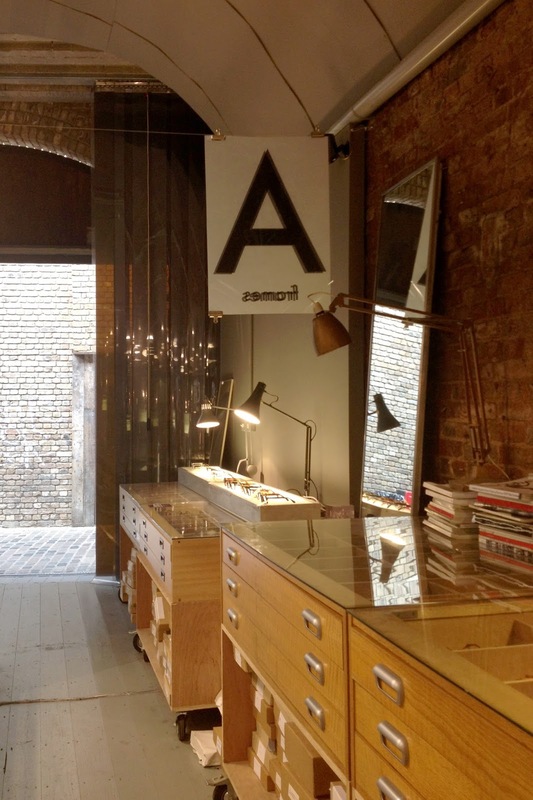 All I knew about them came from friends and colleagues' praises "it's the best place in London for vintage eyewear! ", "AMAZING!! ", "you'll love it!" (but how?? if I could never find the store??). So, map in hand, up I went to Camden Stables Market. Halfway down the gran bazaar market's dense alleyways, inebriated by cheap incense fumes I realised that finding General Eyewear was going to be like the prize at the end of a treasure hunt...I persevered and the hectic experience (you know what I mean if you have been to Camden Market) paid off in the end! 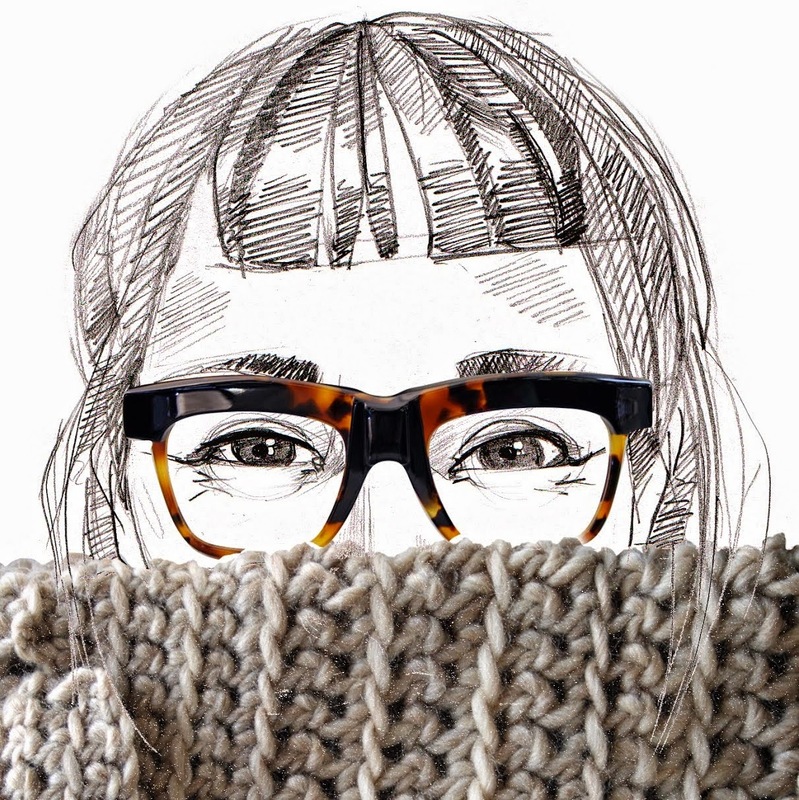 There are so many great things about General Eyewear I don't know where to start...so I'll make a list! 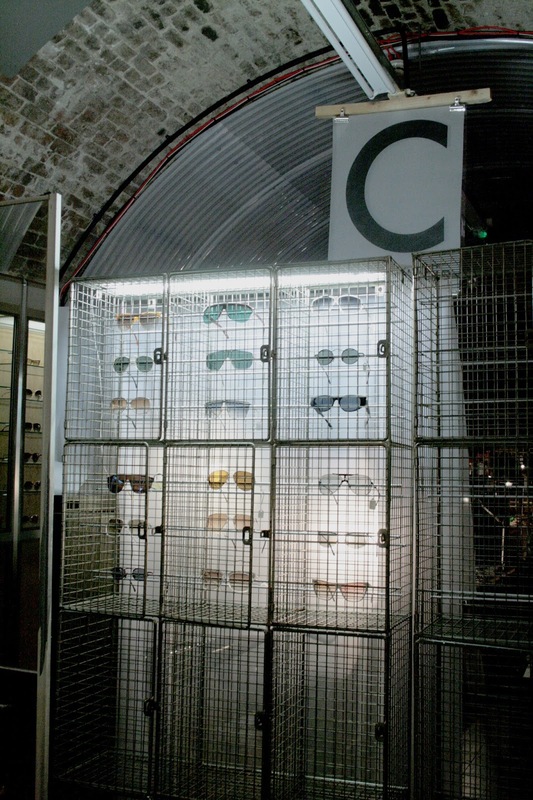 #1 - Their endless selection of vintage frames, this is what they are famous for., so make sure you go there with enough time to look and try on! #2 - Talking about glasses, like eyewear geeks with Fraser (the owner) and his team; Fabio (a fountain of vintage eyewear-knowledge) and Theresa (one of the very few people I have ever met with a talent for designing as well as making eyewear, I think her job is the best!). This is not your usual vintage shop or optician, these guys are super-knowledgeable and super-passionate about eyewear; they can talk for hours about the history behind some of their vintage frames or some of their most peculiar customer requests (General Eyewear is an atelier where you can turn up and have a custom-made pair of frames, to your wildest designs! 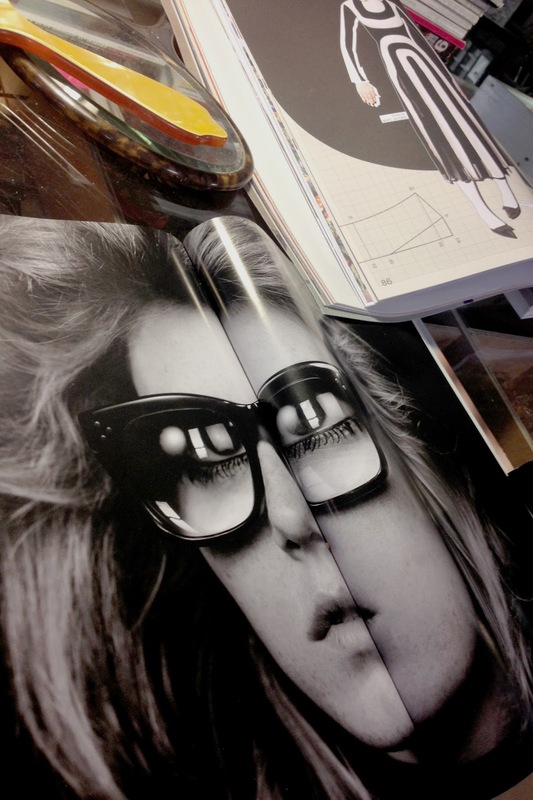 ), like these rectangular frames inspired by the Devil's sunglasses in Bedazzled. The metal and plastic one at the bottom are Fabio's favourite frames. He explained how they where actually provided by the French National Health Service in the 60s and compared them to the more basic plastic ones (at the top) which where provided by the British NHS. I agree with him, the French did put a bit more effort into engineering plastic and metal combinations, in the past! 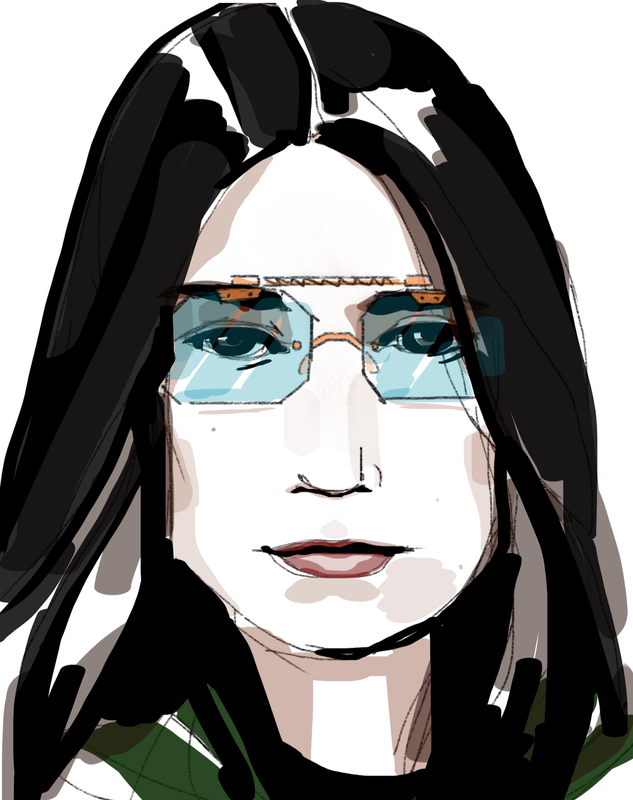 #3 - Their limited range of I+OS (Inner+Outer Space) frames. 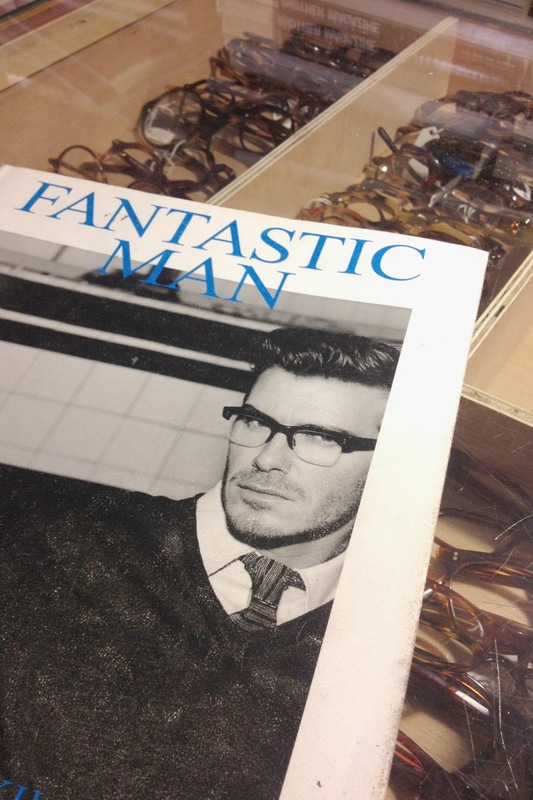 Fraser and his team are not just passionate about vintage frames they also create their own collections of highly prestigious glasses. Beautifully crafted, one-off pieces, made in the UK and, I am convinced, strongly influenced by all those years admiring and collecting vintage acetates of which there is an extensive collection in the workshop, at the back of the store. Every piece is beautifully carved and "it's the material's colour and patterns that inspired the design of each frame", Fraser tells me (often it's the other way around; the design comes first and then the colours are chosen). #4 - Behind the scenes workshop and acetate archive. 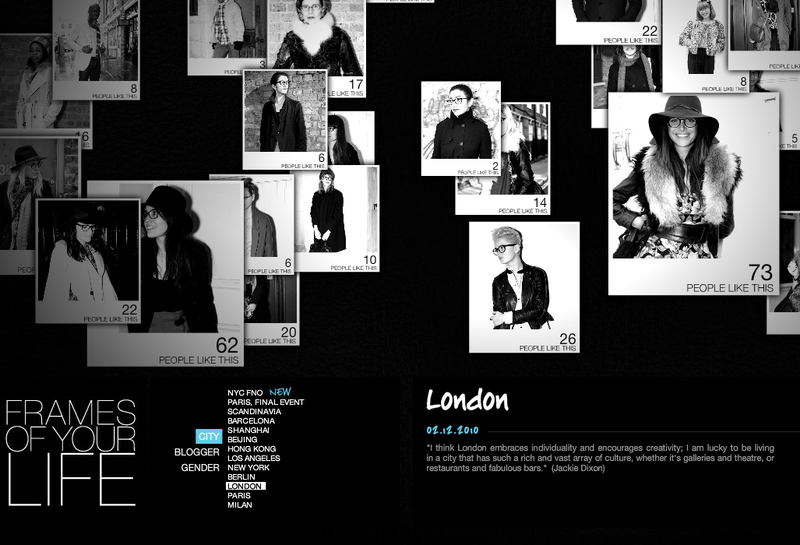 This is Theresa's realm and where every bespoke creation, for private customers or film commissions, sees the light. 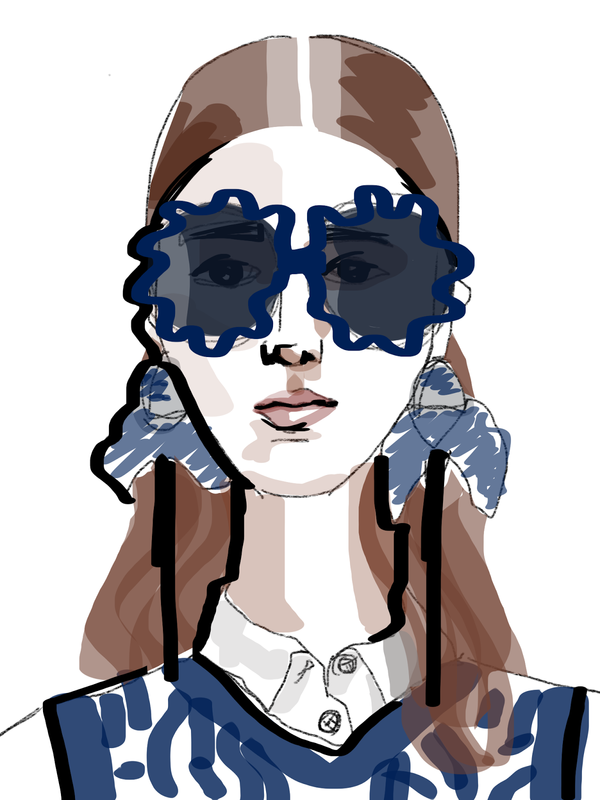 Hundreds of frame templates and pre-Illustartator hand drawings of eyewear and other plastic products like mirrors, combs and hair-clips, salvaged from French factories. Apparently they where all handmade in the same workshops, hence the motifs being very similar. 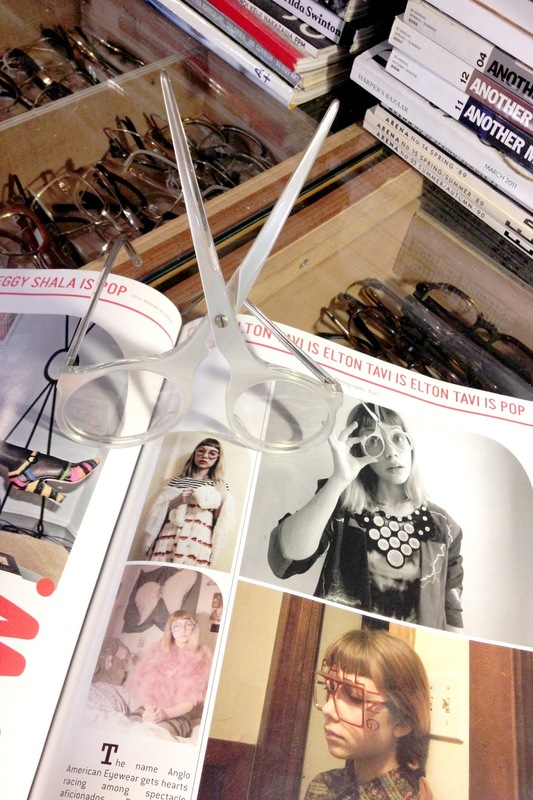 General Eyewear is is also fashion stylists destination for outlandish eyewear, Fraser keeps a copy of each magazine featuring their glasses. My trip through Camden Market, dodging stalls of Goth leather jackets, cheap neon sunglasses and psychedelic prints paid off in the end!